Azure Active Directory (Azure AD) is a comprehensive identity and access management cloud solution that gives you a robust set of capabilities to manage users and groups. It helps secure access to on-premises and cloud applications, including Microsoft web services like Office 365, and many non-Microsoft software as a service (SaaS) applications. Azure AD comes in Three editions: Free, Basic, and Premium. Enable single sign-on to simplify user access to thousands of cloud applications from Windows, Mac, Android, and iOS devices. Users can launch applications from a personalized web-based access panel or mobile app using their company credentials. Use the Azure AD Application Proxy module to go beyond SaaS applications and publish on-premises web applications to provide highly-secure remote access and single sign-on. 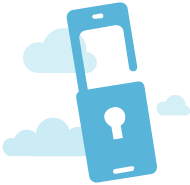 Azure Multi-Factor Authentication prevents unauthorized access to on-premises and cloud applications by providing an additional level of authentication. Protect your business and mitigate potential threats to security monitoring, alerts, and machine learning-based reports that identify inconsistent access patterns. Delegate important tasks to your employees, such as resetting passwords and creating and managing groups. Provide self-service password change, reset, and self-service group management with Azure AD Premium. Extend Active Directory and any other on-premises directories to Azure AD to enable single sign-on for all cloud-based applications. User attributes can be automatically synchronized to your cloud directory from all kinds of on-premises directories. 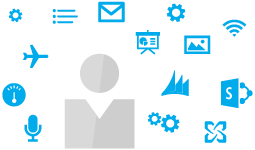 Azure AD Premium editions give you the scale and reliability required by enterprises. It’s a high-availability service hosted in globally-distributed datacenters. The service handles billions of authentications each day from more than 200 million active users and gives you a 99.9% SLA. 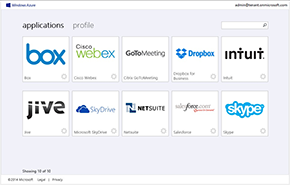 Bring enterprise directory and identity management to the cloud with Azure AD. Centrally manage employee access to Microsoft web services such as Azure, Office 365, Dynamics CRM Online, Intune, and thousands of non-Microsoft cloud applications.